On Thursday, 19th of October, five RCT employees have successfully completed a four-day long training held by Stephen M. Langer, PhD. The training will facilitate the use of Solution Focused Therapy in counselling, mentoring and training in “MENTOintegRacija” project. During these four days we have concentrated on improving and practicing our counselling skills based on the principles of Solution Focused Therapy, while simultaneously working on ideas and implementation of those skills in mentoring and further training of other experts as a part of training of trainers. Mr Langer, who led the training, is the founder of NWBTTC: Northwest Brief Therapy Training Center, from Olympia, USA. Skills gained in this training will be further used in developing a programme for providing services to beneficiaries receiving guaranteed minimal allowance, in educations directed to other professionals who work with persons with granted international protection and other migrants which are guaranteed minimal allowance users, as well as in our everyday work. The goal of this project is to improve social integration and integration in the labour market of asylees and migrants in Croatia by developing tailor made programmes for skills development and piloting a specific mentorship approach in order to increase sustainable employment and to reduce dependency on social benefits. Accordingly, the target group of this project are unemployed asylees and migrants, who are also beneficiaries of guaranteed minimal allowance. 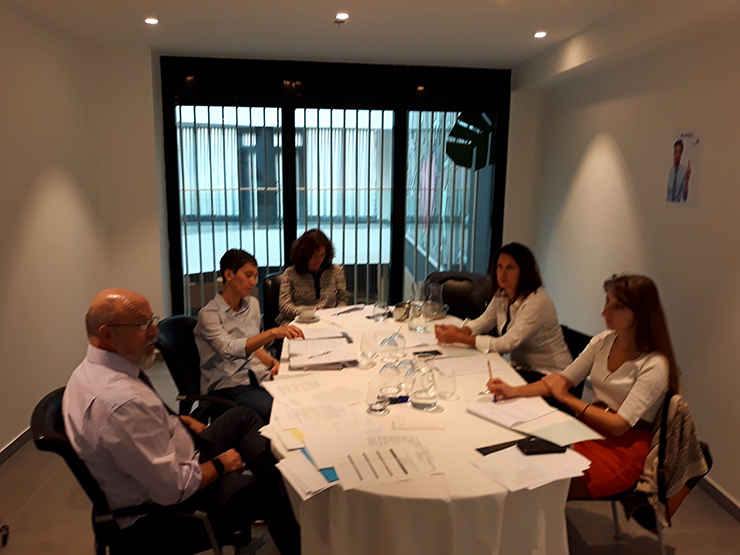 Furthermore, 24 experts from social welfare centres, City of Zagreb office for social care and persons with disabilities, employment offices and NGOs who directly work with asylees and migrants will participate in the project. All the activities mentioned above are a part of the project titled “MENTOintegRation: Mentoring in social and labour market integration of refugees “, which is funded by the European Social Fund.